Now thru December 9: Write your letter to Santa and mail it at the library. Tuesday, December 1: Registration opens for "Edible Christmas trees" opens. For ages 3-5 with adult. Program will be held on December 8 @ 1:00 p.m. Limited spaces, registration required. Wednesday, December 2: Registration opens for "Christmas Bingo" opens. For ages 5+. Program will be held on December 14 @ 4:30 p.m. Limited spaces, registration required. Saturday, December 5 @ 10:30-11:30 a.m.: Read to a dog. Come read to Jasper, a registered therapy dog. Jasper loves to be read to or told stories to. Show him a book, sit down, and share a book with this friendly dog. No registration, all ages. Tuesday, December 8 @ 1:00 p.m.: "Edible Christmas trees" opens. For ages 3-5 with adult. Limited spaces, registration required. 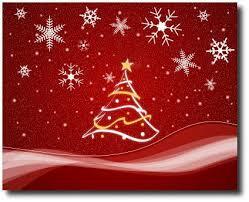 Monday, December 14 @ 4:30 p.m.: "Christmas Bingo" opens. For ages 5+. Limited spaces, registration required. Our Famous Soup Lunch Buffet - try a bottomless cup! First Parish Unitarian Universalist Church is located at 50 School Street in Bridgewater. 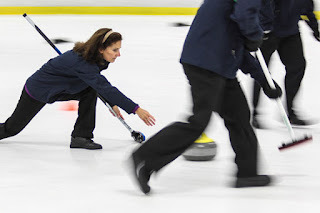 First the good news: the South Shore Curling Club is doing another Learn to Curl session for new curlers in January! Now the bad news: because of limited availability at the ice arena (i.e. hockey) this is most likely the only LTC we’re able to do this winter. The Learn to Curl session will be Sunday, January 10 at 8PM and will be held at the Bridgewater Ice Arena. The cost is $40 per participant, and the session is limited to 40 people. 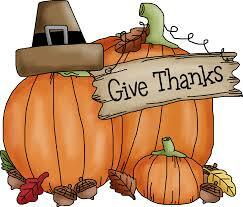 Thanks, have a happy Thanksgiving, and good curling! 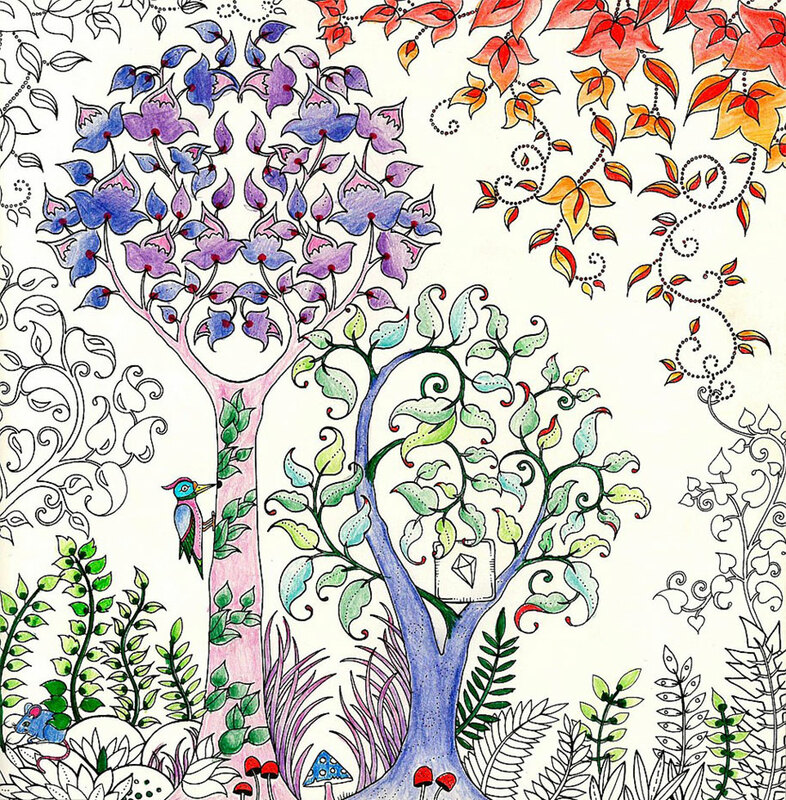 “Coloring for Adults” at the Bridgewater Public Library on December 9 and December 14. The newly popular adult activity, coloring with a Holiday/Winter theme. Use a multicolor array of pencils to color in Snowflake Mandalas, Winter Scapes or Winter Scenes of your choice. An appealing and unique combination of patterns and organic imagery offers hours of imaginative coloring. There are no rules to this new, fun and therapeutic pastime. All supplies will be provided. 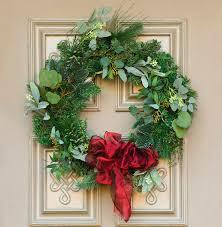 December 9 begins at 6:30 p.m. and December 14 begins at 1:00 p.m. The events at the Bridgewater Public Library, is free and open to the public. Thanksgiving is the time for us to be with our friends and families, to remember our good fortune and to be thankful for all we have. Bridgewater State University is blessed to have students from around the world at the university and many of them do not have family in the area. If you are interested in hosting a student for Thanksgiving, please contact Rita Garufi at 508-531-1346 or by email at rita.garufi@bridgew.edu. 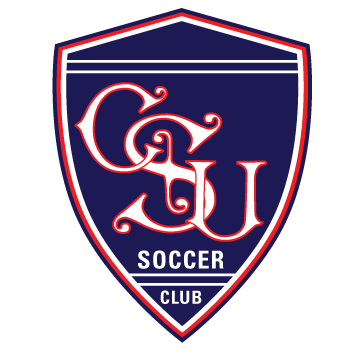 CS United will be hosting winter tryouts in Bridgewater for U9-U12 girls and boys November 30 - December 8. A full schedule of times is listed below. 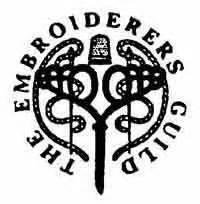 The Mayflower Chapter of the New England Region of Embroidery Guild of America (EGA) will be displaying some of their needle artwork of embroidery at The Bridgewater Public Library during the month of December. EGA has approximately 20,000 members in 354 chapters in 13 Regions scattered across the United States, plus one chapter on-line. The New England Region Inc., affectionately known by its members as NER, has approximately 875 members in 12 chapters. These chapters and their area groups are located in Maine, New Hampshire, Vermont, Massachusetts, Rhode Island, and Connecticut. As a region, they offer Group Correspondence Courses, a Region Day educational program or tour and other educational opportunities. A multi-day seminar or stitch-in is held each year giving region members a chance to study with nationally recognized teachers. Dr. Jeffries, a past president of the club and a Rotary volunteer who has traveled overseas frequently to promote literacy and peace, has been selected by Rotary International to be enrolled in the Rotary Peace Scholars Professional Development Certificate program, helping to further develop her skills in conflict resolution and working toward peace, one of Rotary's most important goals. She will be attending the program at Chulalongkorn University in Thailand from January thru March in the coming year. A maximum of 50 such certificates are conferred each year. This testimonial event, which has an admission fee of $20, will be held on Thursday, December 10th at 5:30 at the Center at Sachem Rock, 355 Plymouth Street/Route 106, East Bridgewater. The reception will feature non-alcoholic drinks, cheese & crackers, veggies & dip, fruit and desserts. Several testimonials will be provided beginning at 6:15pm and there will be raffle and auction prizes. 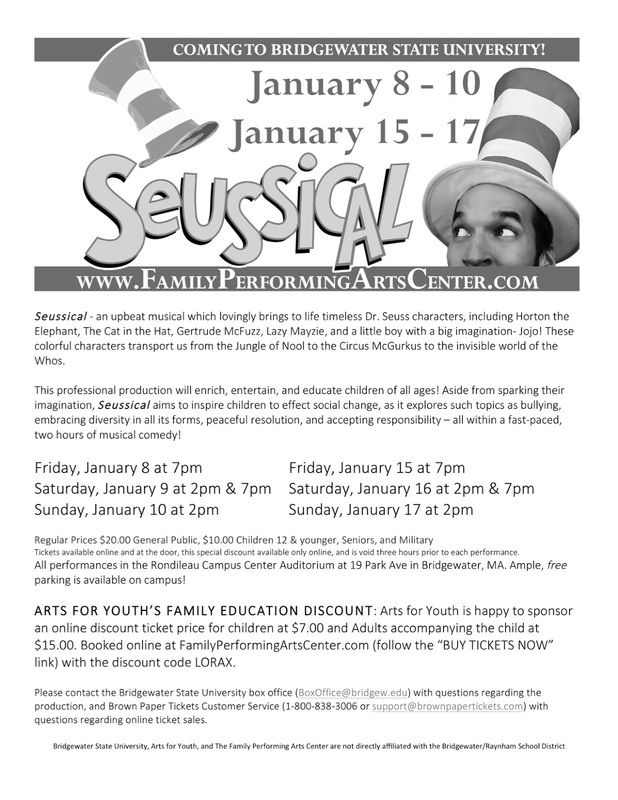 For more information contact the testimonial chair, Bruce Marquis, at 508.378.7890 or bruce.marquis@comcast.net. The Rotary Club of the Bridgewaters was founded in 1970 and features many local charitable efforts including the provision. of 5 scholarships annually to graduating seniors from the Bridgewaters, providing dictionaries to all third graders in the public schools, financial support to the YMCA, Girls Scouts and Boy Scouts, etc. The club meets most Wednesday mornings for breakfast at Good Days Restaurant in West Bridgewater. For the past 16 year's the club has been honoring "Citizens of the Year" from the 3 Bridgewaters. Rotary, whose motto is "Service Above Self," celebrated its 110 birthday this year. It is an organization of business and professional men and women worldwide who provide humanitarian service, encourage high ethical standards in all vocations and helps to build goodwill and peace in the word. The world's first service club, Rotary has some 1.2 millions members belonging to 27,000 virtually in every nation. The Bridgewater Garden Club will hold a Greens Sale and Cookie Walk on Saturday, December 5 from 9:00am -12:00 noon. This will be at the Bridgewater Cole-Yeaton Senior Center, Wally Kruger Way in Bridgewater. Event will be held rain, shine or snow. Please join us for a fun-filled day. Christmas Crafts, Plants, Baked Goods, Candy, Jewelry, Knitting & Sewing, Toys, Basket Raffle Table, White Elephant and more! A light lunch will be served between 11 AM and 2 PM. Visit Santa from 10 AM to 1 PM. Please bring your own camera for photos. Jim Alfieri, president of the Rotary Club of the Bridgewaters, announced today that the club is honoring Rotarian Frances Moore Jeffries at a Testimonial Reception on December 10th. Dr. Jeffries, a past president of the club and a Rotary volunteer who has traveled overseas frequently to promote literacy and peace, has been selected by Rotary International to be enrolled in the Rotary Peace Scholars Professional Development Certificate program, helping to further develop her skills in conflict resolution and working toward peace, one of Rotary's most important goals. She will be attending the program at Chulalongkorn University in Thailand from January thru March in the coming year. A maximum of 50 such certificates are conferred each year. The Bridgewater Council of churches welcomes everyone as we gather together and share our blessings with one another. Please bring a donation of a non-perishable food. Collection will be accepted between November 15th and November 23rd at St. Thomas Aquinas Church and St. Basil Chapel. Bins will be available at the entrances. November 15, 2015 at 11:00am-6:00pm in the Kelly Gymnasium. This year's drums include Storm Boyz, Eastern Suns, and Iron River. Special events include an educational workshop for teachers and participants at 12:00 pm, Native art demonstrations, Eastern Native songs and dances, and Native food for purchase. Many vendors will be present. Grand Entry at 12:30. Five dollar admission which supports the event; free with BSU ID. Co-sponsored by BSU's Ethnic and Indigenous Studies Program and the Native American Cultural Association (student club). The Center for the Advancement of STEM Education and the Office of Community Partnerships at Bridgewater State University are excited to hold “Open Lab Night 2015” in the Dana Mohler- Faria Science and Mathematics Center! Love science and mathematics? Love learning in a hands-on environment? Then please join us for Open Lab Night at BSU. You can chat with BSU faculty and students, hang out in our labs, and even do a few experiments. A wide variety of hands-on activities will be running throughout the night; anything from the “Virtual Reality Sandbox” to “Alien Substances." The Observatory will be open from 5:00-7:00 PM (weather permitting). Snacks and refreshments will be provided. This event is free and open to the public. All children must be accompanied by an adult. Registration is required. Parking is available in the Bridgewater State University Parking Garage. To view the campus map, please click here. On Wednesday, November 18th, the Taunton branch of the AAUW (American Association of University Women) will meet at the Arbors in Taunton, located at 763 County Street. The meeting, which is open to the public, begins at 6:00 p.m.
AAUW membership is open to all women who hold an Associate or equivalent, Baccalaureate or higher degree from a qualified educational institution. Undergraduates may become AAUW affiliate members. For more information about the local area branch of the AAUW, call Rosemarie Buote, Vice President of Membership, at 508-669-5069. The AAUW also maintains a website at: www.aauw.org/. 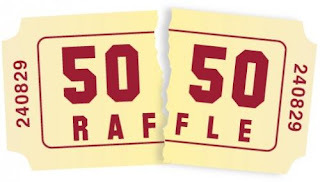 St. Thomas Aquinas is hosting their annual Christmas Bazaar 50/50 Raffle! 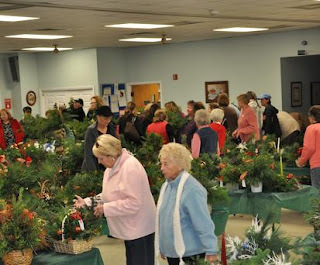 The drawing will be held at their Christmas Bazaar which is held on Saturday, November 21st. 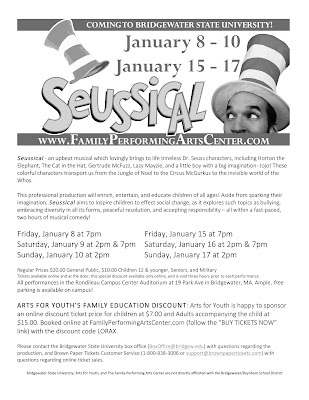 Tickets are $2 each, 3/$5 or a book of 6/$10. 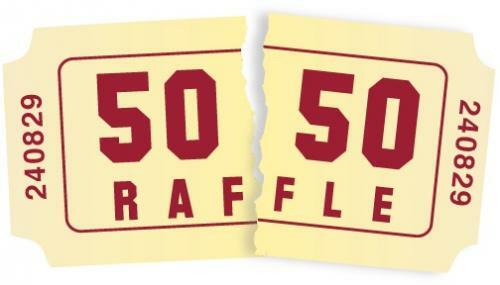 If you are interested in raffle tickets, please email aroundthecommon@gmail.com for details. Hank Phillippi Ryan to Speak at Bridgewater Public Library on November 16 to discuss her recently released book What You See. 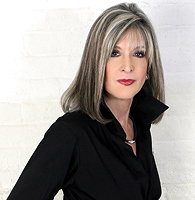 Hank Phillippi Ryan is the on-air investigative reporter for Boston's NBC affiliate. She's won 33 EMMYs, 13 Edward R. Murrow awards and dozens of other honors for her groundbreaking journalism. A bestselling author of seven mystery novels, Ryan has won multiple prestigious awards for her crime fiction: five Agathas, the Anthony, Daphne, Macavity, and for The Other Woman, the coveted Mary Higgins Clark Award. Her 2013 novel, The Wrong Girl, won both the Agatha Award for Best Contemporary Novel and the Daphne Award for Mainstream Mystery/Suspense, and is a seven-week Boston Globe bestseller. Her novel, Truth Be Told, is the Agatha Award winner for Best Contemporary Novel and an Anthony Award nominee for Best Novel. Truth Be Told is also a Library Journal BEST BOOK OF 2014, with starred reviews from Booklist and from Library Journal. She also won a second Agatha Award in 2015 for Best Nonfiction, as editor of Writes of Passage, an anthology of essays by mystery authors. Ryan's next novel, What You See, will debut in October 2015. Visit her online at HankPhillippiRyan.com, on Twitter @hankpryan and Facebook at HankPhillippiRyanAuthorPage.